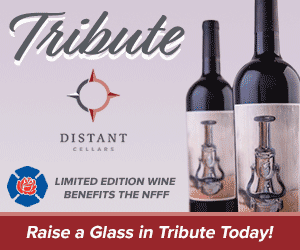 In 1997, the National Fallen Firefighters Foundation sponsored a meeting of the leaders of the major fire service organizations to ask for their assistance with formulating new line-of-duty death criteria to determine eligibility for inclusion on the National Fallen Firefighters Memorial. Present at this meeting were representatives from: National Volunteer Fire Council (NVFC), United States Fire Administration (USFA), International Association of Fire Chiefs (IAFC), International Association of Fire Fighters (IAFF), National Association of State Fire Marshals (NASFM), National Fire Protection Association (NFPA), and the Federal Emergency Management Agency (FEMA). For the purpose of this Memorial the term “firefighter” means an individual whose official duties include fire suppression, fire investigation, or fire police activities and who is actively employed on a full-time, part-time, volunteer, or contract basis by a local county, state or federal agency, with or without compensation, to provide primary fire protection for an organized jurisdiction having authority. This definition also includes seasonal and full-time employees of USDA Forest Service, Bureau of Land Management, the Bureau of Fish and Wildlife, the National Park Service, and the US Department of Energy and state wildland agencies; contract fire suppression personnel and pilots working under the official auspices of one of the above; prison inmates serving on fire crews; civilian firefighters working at military installations; and privately employed firefighters including trained members of industrial or institutional fire brigades. In 2010, the Foundation expanded the definition of firefighter to include active-duty, enlisted and officer United States Air Force, Army, Coast Guard, Navy, and Marine Corps military personnel assigned to fire stations who die performing emergency services in accordance with their position description. The two exclusions from this policy are: (1) personnel who die fighting fire on board Navy ships where all sailors are considered firefighters, and (2) personnel who die from direct enemy action or attack. “Line of duty” means any activity or action which a firefighter is obligated or authorized by statute, rule, regulation, condition of employment or service, official mutual-aid agreement, or other law, or for which he or she is compensated to perform under the auspices of the fire service protection agency he or she serves, and that such agency legally recognizes that the activity or action to have been obligated or authorized at the time performed. Deaths meeting the Department of Justice’s Public Safety Officers’ Benefits (PSOB) program guidelines for a favorable determination. Deaths directly resulting from traumatic injuries sustained during response to, at the scene of, or during return from an emergency incident including but not limited to fires, emergency medical calls, hazardous materials incidents, natural disasters, technical rescue incidents, and search and rescue missions. Deaths directly resulting from traumatic injuries sustained while engaged in department-authorized training drill or activity that requires participants to be engaged in physical activity. Deaths directly resulting from traumatic injuries sustained while engaged in a department-mandated physical exercise program administered by the agency including, but not limited to running or other types of physical exercise and annual recertification fitness or agility tests. Deaths directly resulting from a cardiovascular event that occurs immediately after, or within 24 hours of, returning from an emergency response or being engaged in a department-mandated physical exercise or training activity as defined above. In all cases documentation must be provided showing a direct link from a single emergency incident, or training activity, to the firefighter’s injury and subsequent death. Examples of documentation that can be submitted are: department incident or run reports, newspaper articles, notarized witness statements, hospital records, physician reports, and disability records. For deaths resulting from a heart attack or stroke, documentation must be provided showing the firefighter’s participation in emergency response or training activities within the designated time frame (24 hours) before the onset of the cardiovascular event. If the injury or cardiovascular event results in long-term disability or hospitalization, documentation will also be required indicating the individual did not return to full-duty status as a firefighter prior to his or her death. In certain cases, the Foundation will abstain from rendering a decision regarding eligibility for inclusion on the National Memorial until the Public Safety Officers’ Benefits (PSOB) program makes their determination. Deaths where the decedent is under the age of 18. Deaths that occur while the firefighter was engaged in a non-emergency fire department duty, i.e. – station or apparatus maintenance, special-event standby assignments, parades, community service details, fundraising events, etc. Deaths that occur during the firefighter’s commute to/from their assignment. Deaths where there is a report of alcohol or controlled substance involvement. If a claim for death benefits has been filed with the PSOB office, the Foundation will hold the case in a “Pending” status until the PSOB renders their decision. If the Department of Justice determines the firefighter’s death was line-of-duty based on their guidelines, the Foundation will rule the death eligible for inclusion on the National Memorial. If the Department of Justice determines the firefighter’s death does not meet their criteria for payment of death benefits, the Foundation will rule the death ineligible for inclusion on the National Memorial. If no claim for PSOB benefits is filed within one year of the firefighter’s death, the Foundation will close out the file as “Not Eligible” for inclusion on the National Memorial. Deaths attributed to alcohol or controlled substance abuse. Deaths resulting from the firefighter acting in a grossly negligent manner at the time of his/her death. Names added to the National Memorial wall each October represent those line-of-duty deaths approved as eligible for inclusion from the previous calendar year (Jan 1- Dec 31). All required documentation for cases in the previous year must be received by June 1st to be considered for inclusion that year. After all documentation is gathered, Foundation staff prepares an initial case determination for review by the Executive Director. The Executive Director then reviews each case and makes the final determination for eligibility of inclusion. Appeals of the Executive Director’s decision are reviewed by the Foundation’s Board of Directors. Any previous year cases approved after June 1st will be honored the following year, i.e. – a 2017 fatality approved in September 2018 will be honored in 2019. The criteria used for including a firefighter’s name on the National Fallen Firefighters Memorial are separate and distinct from the line-of-duty death criteria used by other agencies, entities or programs to establish line-of-duty death status for other national, state and local memorials or benefit payments. In 2014, the National Fallen Firefighters Foundation reconvened the organizations that set the 1997 LODD Criteria and asked them to examine the relevance of the existing criteria. These organizations reaffirmed the criteria as written and acknowledged that the Foundation may need to expand the criteria at a future date. In addition, the Board of Directors and the Foundation Executive Director may deviate from this set criteria based upon a case-by-case review of the information that is provided covering known facts of the line-of-duty death case. Acceptance for inclusion on the National Fallen Firefighters Memorial in no way impacts decisions made by the federal government regarding the awarding of PSOB benefits. For more information about PSOB, their guidelines, and instructions for filing a claim, visit www.psob.gov or call 1-888-744-6513. You can receive information on National Fallen Firefighters Foundation resources, news, events, and ways you can help families and the fire service through our online newsletter. This website is funded in whole or in part through a grant from the Bureau of Justice, Office of Justice Programs, U.S. Department of Justice. Neither the U.S. Department of Justice nor any of its components operate, control, are responsible for, or necessarily endorse, this Web site (including, without limitation, its content, technical infrastructure, and policies, and any service or tools provided). Foundation does not solicit donations by phone or employ outside companies to do so. You can make a donation by mail, by phone or through our website.